Kerala: What will happen if Idukki dam's shutters are lifted? One issue that is haunting everyone in Kerala's Idukki district now is about the likely lifting of the shutters of the Idukki dam. The skies over Idukki dam are still overcast and with more rain, the water level in the dam is set to rise. Unless the rain clouds disperse, the shutters of Cheruthoni dam in Idukki will be lifted after 26 years. The authorities may, in all probability, allow the waters to flow out even before the water level touches 2,400 feet. 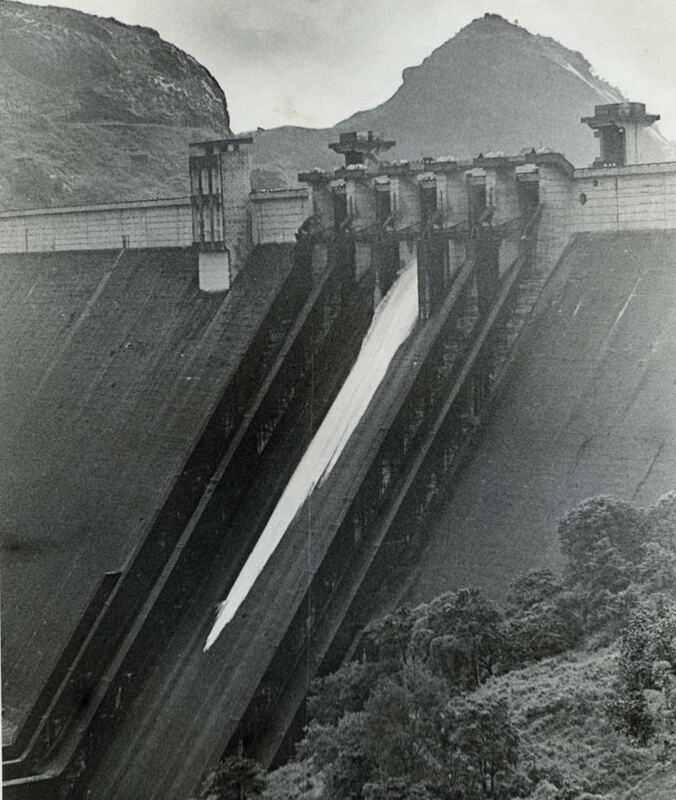 • When mention is made of raising the shutters of the Idukki dam, it refers to the Cheruthoni dam. • The water level in Idukki dam was 2,393.28 ft on Saturday and that of Mullaperiyar dam was 135.95 ft. Is there a discrepancy? Probably not, as water level in Idukki is measured from the sea level and Mullaperiyar from the ground level. • The capacity of Idukki reservoir is six times that of Mullaperiyar. • Water released from Cheruthoni dam will reach Aluva within six hours. • When the shutters were raised in 1981, some of the fish that flowed down the Periyar river weighed 80 kg. • While the lifespan of the dams under Kerala State Electricity Board (KSEB) in Kerala is 100 years, that of the Idukki dam is 300 years. There are five shutters for Cheruthoni dam. The first to be lifted will be the one in the middle. Next, either the one on the extreme left or right will go up, followed by the others. Each shutter, working on electricity, will be raised only by 10-15cm. KSEB has already made preparations to release water. The steel ropes of the shutters have been coated with cardium compound and lubricants have been applied to the gear system. The Idukki dam is under the KSEB’s Research and Dam Safety Wing. It is part of the Vazhathoppu division and headed by an executive engineer. There are 30 officials in the wing. The late Victor George, Malayala Manorama’s photographer, was witness to the lifting of the shutters in 1992 and captured the moment with his camera to produce an iconic picture. It is a chamber inside the dam where sophisticated instruments are installed. Dam officials take readings, including temperature, from the gallery every day. People are curious whether load-shedding could be avoided with the reservoirs brimming over. However, KSEB officials say this cannot be predicted based on the quantity of rainfall and water level in dams. When the shutters are raised, water will flow to the Cheruthoni river. As a result, traffic along Idukki–Kattappana route may be affected in case the Cheruthoni water channel on Thodupuzha–Puliyanmala state highway overflows. Water will then flow through Thambiyad, Karimban ‘chappaths’ to enter Ernakulam district at Periyar Pamba dam, to flow to Neriyamangalam, Bhoothatankettu, Edamalayar, Malayattoor and Kalady. The path of the flow from there will be via Aluva, Thuruth in Chengamanad panchayat, Thottumugham in Keezhmadu panchayat, Mulavukad panchayat, Panambukad, Vallarpadam, Mulavukad and Ponnarimangalam. Authorities believe that the water may also rise to flow into the Kochi airport at Nedumbassery. After joining Aluvapuzha, the waters will merge with the Arabian Sea. The lifting of the shutters of Cheruthoni dam can be safely witnessed from the top regions of Cheruthoni town and upper reaches of Thambiyad, Maniyarankudi and Thannikandam. One can have a view of the brimming Idukki reservoir from Idukki guest house premises at Narakakkanam hills, hills above Idukki town, Painavu Kendriya Vidyalaya premises and Palkulamedu. 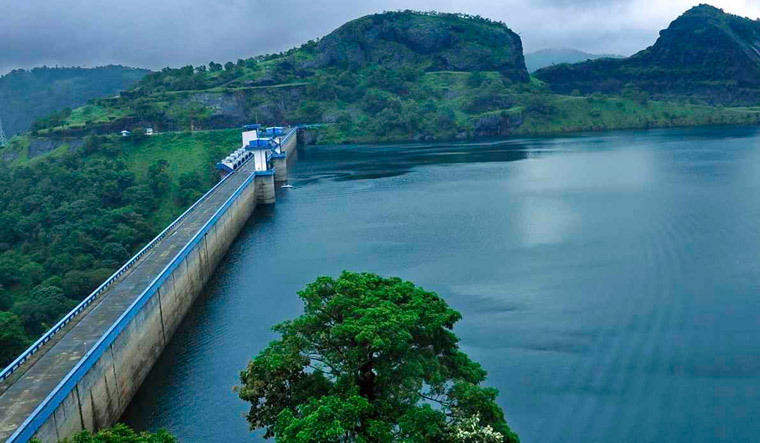 Visitors are allowed in Idukki dam only on Saturdays, Sundays and holidays from 8am to 5pm. Entry fee for adults is Rs 20 and children Rs 10. Items like mobile, camera, bags etc., are not allowed and should be kept in the cloak room outside the premises. Boating facility is also available at Rs 135 per person. The capacity of the boat is 20. There are three gauge posts near Cheruthoni dam. Every day, at 7am, KSEB officials record the water level. Now, with the water level rising steadily, the reading is carried out every hour. The Idukki district panchayat had deposited lakhs of young fish into the reservoir some years ago. The fish would be fully grown now and would flow out when the shutters are lifted. Many local people are planning to net the fish, but the swift flowing waters pose a big danger. In 1992, when the water was released, large number of fishes were sucked out of the reservoir due to the sudden change in hydraulic pressure. The announcement was made from a yellow-green jeep belonging to the KSEB. Hearing it, several people could not control their anxiety and cried out aloud, says Nair. “People living on the banks and on the river ‘puramboke’ land should be cautious. So too, those grazing cattle near the river, schoolkids and parents,” the announcement continued. Nair retired from KSEB in November 1997 and settled down at Manakkad near Thodupuzha. He has written four books on Idukki.